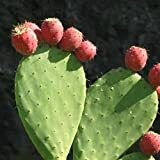 Prickly pear growing cactus of the genus Opuntia also known as Cactus pear or Barbary fig, Prickly pear perennial thorny plant also used as ornamental plant can grow in desert, subtropical, tropic, mediterranean or temperate climate and growing in hardiness zone 7+. Stem color green with oval shape when mature become brown and change their shape more oval as stem, the stem called cladode some refers them as leaves. Flower color orange, yellow or pink flower. 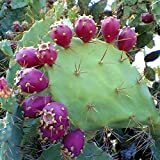 What can be done with big quantities of Prickly pear fruits?